When we think of winter time, we think of the cold, and when we think of the cold, well, it’s rarely in a positive context. People shy away from cold weather as it were a hangman that is out to get us or at least to make us sick. That is why we put on several layers of clothes to prevent the cold from reaching our body because we want so desperately to stay warm. However, there is little scientific proof that cold is that much detrimental to our health. Quite the contrary, there are at least 5 amazing health benefits of exposing ourselves to cold air. 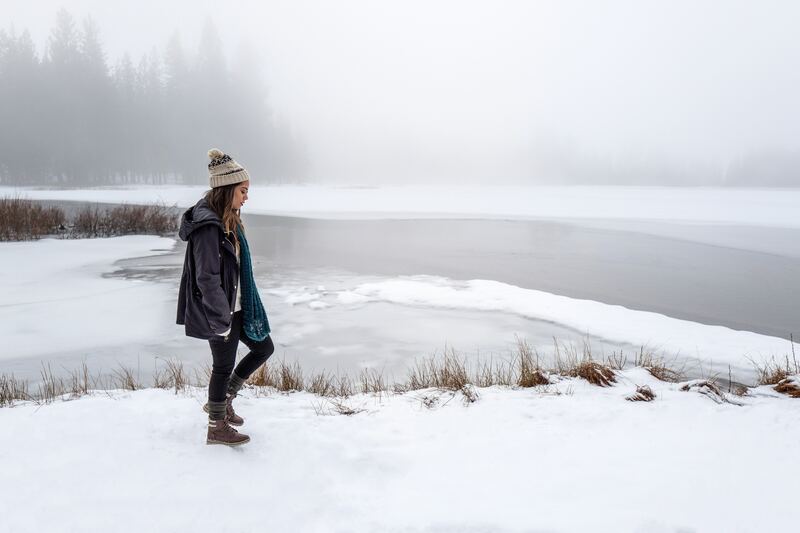 Once you find out more on how cold weather can actually help you stay healthy, you might be tempted into taking a stroll out in the snowy landscape. If you ever wished that allergies you or your friends and family have could simply be put on “mute,” winter is the time of the year when they really go silent. Cold weather is the worst possible environment for the viruses and pollen to spread, so you are less likely to commence a sneezing spree in December, let’s say. Spending time outdoors will be safer but you are still going to have to be cautious indoors. Mold and mildew form in rooms without fresh air and air-conditioning is definitely not helpful. That is why you should open the windows now and then to let the fresh air inside. There is a reason why the phrase “to cool down” has a reference to cold. Winter is indeed the time of the year when cold brings down body and brain temperature. This is actually beneficial for our metabolism as it makes us think more clearly. Our actions become more coordinated and we are able to focus better, according to scientific studies that have examined the influence cold weather has on our brain. During summer we are sluggish, while during winter we are aware that saving energy is important, so we move around and think more efficiently. Also, if you work out, cold weather will not make you sweat as much, so you will lose less energy on perspiration, making it easier to exercise. Talking of physical activity, there are several sports that are truly winter sports. Activities such as skiing, snowboarding, and ice-skating are all synonymous with snow and cold weather. Although there are dry weather subs, such as home exercise programs that imitate the effect skiing has, winter is the only right time to take them up. These and similar sports that require a slope of a mountain activate muscle groups that would have otherwise stayed dormant. That is why active ski holidays are beneficial in several ways. Not only do winter sports present an excellent exercise for the legs but they provide you with the opportunity to enjoy the scenery and relax in front of the fireplace at the end of a long day. Don’t forget, mental health is also important! It has been known for a long time that people sleep better is cold rooms. This is because our metabolism slows down while sleeping so high temperatures are just not pleasant. Basically, our organism has to “cool down” before it can truly become dormant, ensuring a good night’s sleep. This is only possible if the room temperature is low enough, which is easier to achieve in winter when all you have to do is turn off the heating before going to bed. Since days are shorter during winter time, you won’t have to worry about sunrays waking you up early in the morning as winter dawns are mostly dark. Finally, moderately cold air can do wonders for the skin. Blood vessels constrain at low temperatures so they are less likely to swell or go red. The blood flow gets reduced, preserving your vessels and the heart from issues with high blood pressure. Furthermore, the skin produces less sebum and oil, resulting in a decreased number of skin issues, such as acne and other breakouts. We hope that by now you realize that cold weather is the best doctor your organism can get in the winter. There is no reason to overspend on hats, scarves, and gloves as a breath of chilly air will definitely not harm you; quite the contrary!